Everyone knows that texting and driving is extremely dangerous. 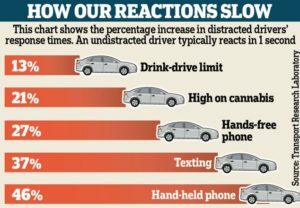 The Center for Disease Control and Prevention reports that, “each day in the United States more than 9 people are killed and more than 1,000 people are injured in crashes that are reported to involve a distracted driver.” Nevertheless, some of us just can’t resist the urge to send that important text while on the road. But it might be time to reconsider. Texting and driving not only forces you to take your eyes off the road, but also causes you to remove your hands from the wheel. This is where commitment devices come in. Commitment devices are techniques that make it easier for us to kick unwanted habits and commit to those habits we need to make stronger. For example, say my mom is allergic to peanuts, but she loves peanut butter and jelly sandwiches. I suggest, why not just have a jelly sandwich, only to receive the reply, “What’s a PB&J without peanut butter?” A strong retort indeed; however, this behavior can be easier to eliminate with the help of a commitment device. In this scenario, that might involve making my dad hide the peanut butter so my mother won’t be tempted to eat it. So how does a commitment device apply to texting and driving? 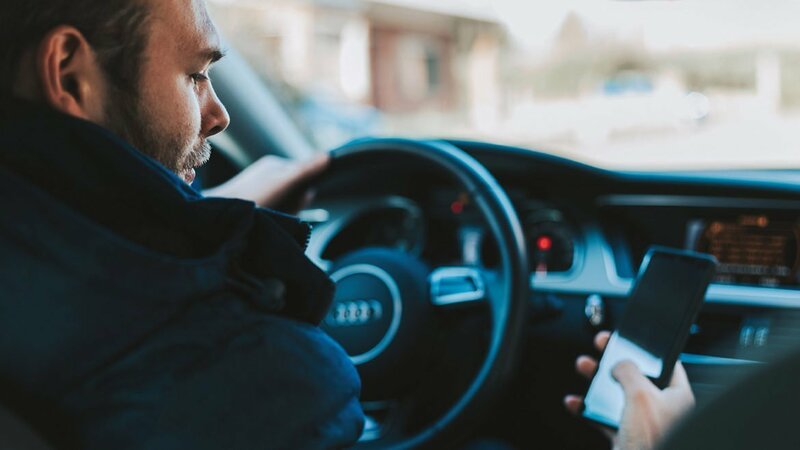 Well, there are a ton of apps out there that can help keep you from texting and driving by preventing you from turning on a text app when your car is in motion. Some apps lock your phone; others will put your phone on silent mode. In any case, using these “commitment apps” can help you stay focused on the road and avoid being distracted. You can find a few of these apps posted below. Remember, it might take just a second to check a text, but in the same amount of time a life can be lost or devastated. 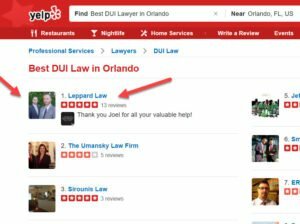 Joel Leppard’s best Orlando drunk driving lawyer ranking also comes on the heels of recent awards by other well-known national lawyer rating services. 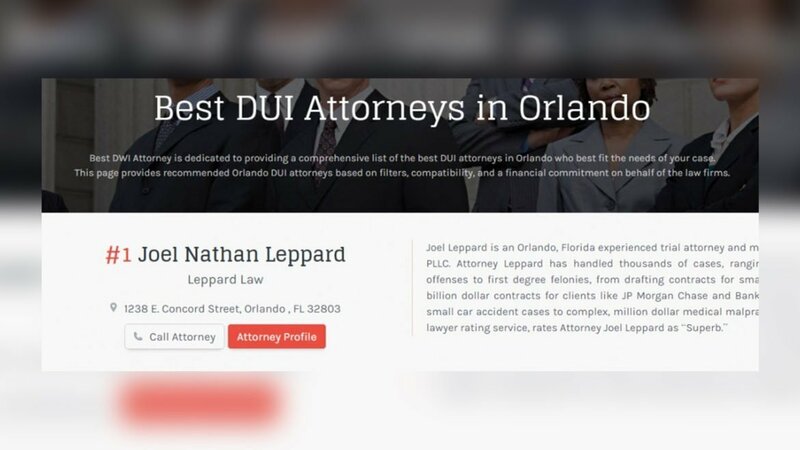 The law firm recently named to Expertise.com’s “2016 Best Criminal Defense Lawyers in Orlando.” Currently, Leppard Law also tops Yelp’s 2017 list of Best Orlando DUI lawyers. 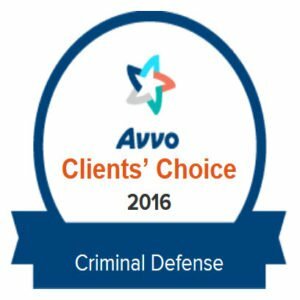 Avvo , a national attorney rating service, which awarded attorney Leppard with the “Client’s Choice” award for Criminal Defense in both 2015 and 2016. Orlando attorney Joel Leppard received this prestigious accolade based on the number, quality and breadth of client testimonials associated with his profile. 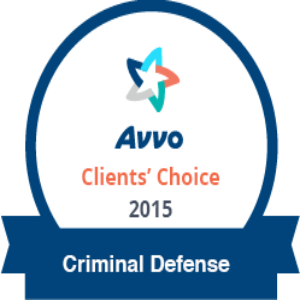 This prestigious award is presented to attorneys who receive five star ratings from their clients on Avvo.com, the world’s largest online attorney rating and review service. 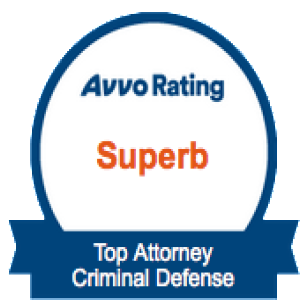 Avvo also rates Mr. Leppard as a “Superb” attorney, with a perfect 10.0 out of 10.0 rating scale. Joel takes pride in treating every client’s legal problems as if they were his own. As of the writing of this article, he has all five star reviews on Facebook, Thumbtack, Google and Yelp. 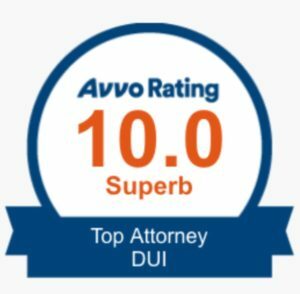 With a “Superb” Avvo rating and a passion for helping those with legal problems, Joel is grateful and honored to serve so many worthy and incredible clients. He looks forward to continuing to do so for the remainder of 2016. More information about Joel Leppard and Leppard Law can be found at their website at www.LeppardLaw.com. Leppard Law is also on Facebook, Google + and Twitter. The firm is conveniently located in downtown Orlando at 638 Broadway Ave., Orlando, FL 32803 and called or texted at 407-476-4111. The US Supreme Court heard oral arguments in Foster v. Chatman, a death penalty case where prosecutors excluded every African-American from the jury pool based upon bogus pretexts. The prosecutors even circled the race of the African-American jurors and highlighted the African-Americans as “definite NOs.” The prosecution excluded one African-American woman because her age was so close to the defendant but she was 15 years younger and the prosecutors included 8 white jurors whose age was close to the defendant. There are many more examples like that, you can read more about Justice Sotomayor and the jury selection bias case here. In Florida, a 2000-2010 study of juries in Sarasota and Lake Counties found that 1) juries formed from all-white jury pools are 16 percentage points (or 22.7% more likely) to convict black defendants than white defendants, and 2) this gap in conviction rates is entirely eliminated when the jury pool includes at least one black member. See “The Impact of Jury Race in Criminal Trials” for more information. I think a big takeaway from these example is how important it is to get disenfranchised Persons of Color back in the jury pools. However, here in Florida we have moved in the opposite direction in the past five years. In 2010, Gov. Rick Scott reimposed the lifelong denial of civil rights to convicted felons, unless pardoned by the Governor himself. Florida law is unique, insofar as the convicted felon must be pardoned by the Governor and a majority of the publicly elected State Cabinet in order to restore one’s civil rights after being convicted of a felony (and pretty much everything is a felony these days). It’s so bad that the UN is convening a panel to determine if the U.S. is violating international civil rights standards set forth in the International Covenant on Civil and Political Rights (ICCPR). If you are interested in helping, the ACLU is working toward reinstating automatic restoration of civil rights and you can sign their petition in support of voting rights here. Florida’s harsh 10-20-Life mandatory minimum sentencing law is on a long road to reform, but small steps are being taken to give judges more authority in certain cases. 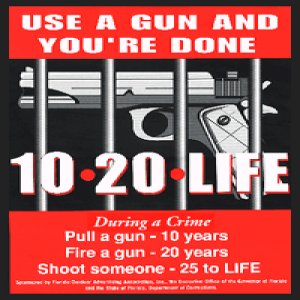 The 10-20-Life law strictly punishes anyone who is in possession of or actually uses a firearm while committing a crime by imposing a mandatory minimum sentence of 10 years, 20 years, or 25 years to life depending on the nature of the crime. For example, if a person simply pulled out a weapon while committing a crime, he or she would have to serve 10 years in jail regardless of the circumstances. One example of why the 10-20-Life law is too harsh is the August 2010 case involving Marissa Alexander. Alexander shot what she called a warning shot near her ex-husband, who was physically abusive towards her and sent her threatening text messages. The shot did not hurt her ex-husband, yet Alexander was arrested and charged with aggravated assault with a firearm. Under the 10-20-Life law, she was sentenced to 20 years in prison despite having no criminal past. Fortunately, after serving just 3 years in prison, Alexander was released due to a faulty jury instruction in her case. Although things ended well for Alexander, this is not the typical outcome in most cases. That is why the proposal of a new bill (HB 135) by Florida legislators is a great step in the right direction. The bill, called the Self-Defense Protection Act, makes exceptions to certain mandatory minimum sentences if the defendant had a justifiable reason to use a firearm. The bill will not eliminate the entire problem, of course. Some defendants will still be harshly punished under the 10-20-Life law because judges cannot change the sentence to match circumstances, but at least progress is being made and judges will be able to act fairly in the cases in which it applies. Florida, Delaware and Alabama are the only states that do not require a unanimous jury decision when sentencing someone to death. A U.S. Supreme Court case with a ruling expected in 2016, however, could change Florida’s death penalty procedure. Timothy Hurst, a man currently on Death Row for murder, is appealing his death sentence. Jurors in his case recommended death by a 7-5 vote, but Hurst’s attorneys argue that allowing this sentence without a unanimous jury is a violation of Hurst’s Sixth Amendment rights. The sentencing of hundreds of other people on Florida’s Death Row could be impacted if the Supreme Court rules in favor of Hurst. Former Jacksonville State Attorney Harry Shorstein said the impact of the issue could be avoided if it is fixed legislatively instead of in court. Legislation that would change the law to require a unanimous jury recommendation of death has already been introduced into the Florida House and Senate, however. The issue with both bills is that they have been sponsored by Democrats, and the majority of people in the Florida House and Senate are Republican. Rep. Rob Bradley, who is on the Senate Criminal Justice Committee, does not believe legislation regarding the death penalty is likely to pass during the 2016 legislative session. He voted for a similar bill in 2015, but the legislation went nowhere in the House. Bradley personally believes that the Supreme Court will deem Florida’s sentencing procedures unconstitutional in the Hurst case, which makes it more likely that the issue will be dealt with in the 2017 regular session. For more information, please read: http://jacksonville.com/news/crime/2015-10-11/story/former-jacksonville-state-attorney-joins-others-calling-change-florida. When there is a no contact order placed against you, it is an extremely difficult time. Here are some frequently asked questions and helpful answers for you. If you are ever unsure about anything, contact your attorney and ask for his/her advice. There is a no contact order in place against me, what does that mean? A “no contact order” means you are prohibited from having any contact with the alleged victim, directly, indirectly. You cannot see or visit the alleged victim, you cannot call, you cannot write or e-mail the alleged victim. You cannot drive by their residence. Contact through a third party can also be a violation of the court’s order. Even if you attend the same church, temple, mosque, school, or other function that the alleged victim is attending, you should not go to that event. No contact means no contact. What happens if I violate the order? You will be arrested and have a higher bond set, or possibly have no bond. You may also have additional charges brought against you for violation of a domestic Violence order or injunction. How will anybody know if I violate the order? There are many ways the court can determine if you have violated a no contact order. Eyewitness testimony, phone records, social media and voice mail can provide evidence that you have violated an order. Letters and e-mails can also be shown as evidence. The burden of proof can be considered relatively low. What if the alleged victim doesn’t want to press charges? The State of Florida makes a decision to proceed with the charges or not. The alleged victim can contact the State Attorney’s or an attorney to file a Declination of Prosecution, which is the first step in resolving the case in your favor. The order will still be in place and will not be removed until the case is over or the court modifies it. Any modification of this condition requires a motion before the court and must be filed by your attorney. Will I violate the no contact order if the alleged victim invites or initiates contact? Yes. If the order states that there is to be no contact and you communicate back with the alleged victim, you will be in violation of that order. Will I violate the order if we continue to live together? Yes. If the order states that you must maintain separate residences or must not have contact with the alleged victim, then you are in violation of the order if you continue to live together. Even if the alleged victim invites you to come home, you will violate the order. Only the judge can change or dismiss an order. What if I own the house where we both live? Do I have to move out of my own house? Not necessarily. If you own the house or lease (meaning that your name is the only name on the deed or lease), you will need to ask your attorney to have the conditions of your release modified so you may safely and legally get the alleged victim out of your home or pick up your belongings. Make sure you ask your attorney or the judge for this special condition, but if you do not own the house or lease, you must not ask to have the alleged victim removed. Is there a violation of the order if I am required to vacate the residence, but I move in with the alleged victim at another address? Yes. You must not move in with him or her at another address. What if the alleged victim continues to come and see me at my place of business or new home? Politely refuse to see or speak with the alleged victim and immediately contact your attorney. Go to a separate room or part of the building and shut the door. Have a co-worker or friend politely tell the alleged victim that there is an order in place, that you can have no contact with the alleged victim, and to please leave the premises. You can also file a petition to have an injunction against the alleged victim. You can call the Domestic Relations Division of the Orange County Clerk’s Office at (407) 836-2054 to get more information on filing an injunction. What if I want to see my children and the alleged victim is the one living with them? You must go through the court system to get visitation of your children when there is a no contact order in place. How can we get the order removed? 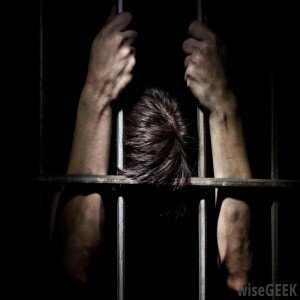 Once the case is resolved, all conditions of your release are no longer enforceable. You may request your attorney to file a motion with the court to modify the no contact order. What if the court has ordered no-hostile contact? No-hostile contact means you can see or visit the alleged victim, you can call, you can write or e-mail the alleged victim. You may also share the same residence. You cannot have any contact with the alleged victim that rises to the level of violence or hostile behavior. The alleged victim will largely get to decide what is and is not hostile contact. 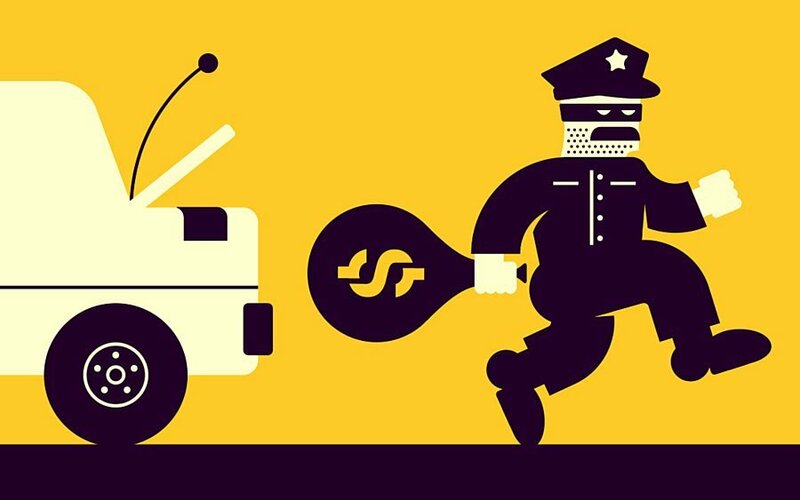 Civil forfeiture laws allow police to seize your property, sell it and use the money to fund agency budgets. This means your car, cash, real estate or other property can be taken from you even if you are not convicted or charged with a crime. It is also a misconception that most people who have their property seized are wealthy. Some low-income families who do not have the resources to get their property back are also targeted by law enforcement. Regardless of socioeconomic status, it is not fair that likely innocent people are being stripped of their property without ever being convicted of a crime. Second Degree Misdemeanor: Up to 60 days in jail and/or fines not exceeding $500. First Degree Misdemeanor: Jail sentence up to 1 year and/or fines not exceeding $1,000. Third Degree Felony: Imprisonment up to 5 years and/or fines up to $5,000. Second Degree Felony: Imprisonment up to 15 years and/or fines not exceeding $10,000. First Degree Felony: Imprisonment for up 30 years or possible life imprisonment and/or fines not exceeding $10,000. 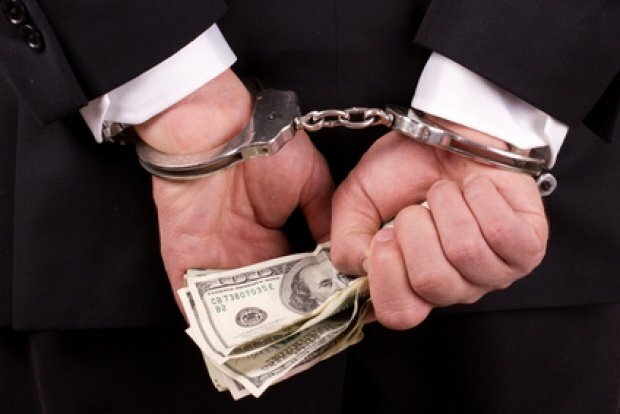 An aggravated white collar crime is defined under the Florida White Collar Crime Victim Protection Act as “engaging in at least two white collar crimes that have the same or similar victims, results, accomplices, intents, or methods of commission, or that are otherwise related by certain characteristics showing the offenses are not isolated from each other.” An aggravated white collar crime is a first degree felony. 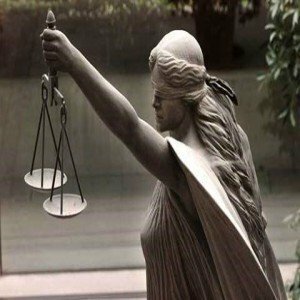 It is important to hire a defense attorney if you are charged with or believe you are being investigated for committing a white collar crime. Common defenses include 1) Challenging or disproving the state’s case and 2) Entrapment, which is when law enforcement induced someone to commit a crime that he/she would not have committed otherwise. If you’re in the UK it might be worth considering Thomas Boyd Whyte. After a long search, a friend told me that they were a strong contender but found a different legal representative. The Eighth Amendment to the United States Constitution explicitly states that “excessive bail shall not be required, nor excessive fines imposed.” However, bail in America has evolved in such a way that it has become less of a tool for keeping people out of jail and more of a tool to coerce low-income defendants to enter a “guilty” plea because they cannot afford it. Even when bail is set at a low amount not everyone can afford it as they have to pay 10% of the bail amount to the court, in cases like this when a defendants bail is low but not low enough for them to pay there and then they will usually seek the help of a bail bondsman or bail bonding company such as gwinnett county bonding companies. Let’s look at an example from the New York Times’ article “The Bail Trap” of how bail keeps the criminal-justice system afloat: In 2013, New York processed 365,000 arraignments. Of those cases, less than 5 percent actually went to trial. However, even if a small portion of those defendants decided to assert their right to trial, it would be too overwhelming for criminal courts to handle. So, forcing defendants to plead guilty actually makes it easier on the courts.